so i’m journaling it here. hoping your summer’s been loverly. *note: if you can’t get your hands on Kaffir lime leaves, use organic lime rind, using as little of the bitter white pith as possible. it’s not exactly the same but it’ll still give you that bright citrus-y hint. in first saucepan, gently simmer the blueberries with lemongrass and Kaffir lime leaves. it’ll thicken and bubble, let it hang out and infuse. if you think about it, using a fork squish the berries. simmer for about 15 minutes and allow to cool. i left it rough textured, but if you want it smooth, discard the lemongrass and Kaffir lime leaves and zip in vitamix or blender. in 2nd saucepan, gently simmer coconut milk with ginger. if you want, you can sweeten with whatever sweetener of choice. the goal is to infuse the milk with just the hint of ginger, should take about 20-30 minutes on low. allow to cool. discard ginger knob. pour into pop molds, alternating between flavors. there is no science to it, and it should be enough for all molds but as you can see, it’s entirely up to you how strong you want the flavors to be and how full you want the molds to be. freeze at least 3 hours. to unmold, run under warm water and gently pull out. Hi Lan, I bet these are delicious! they are delicious, and they’re dw’s fave. 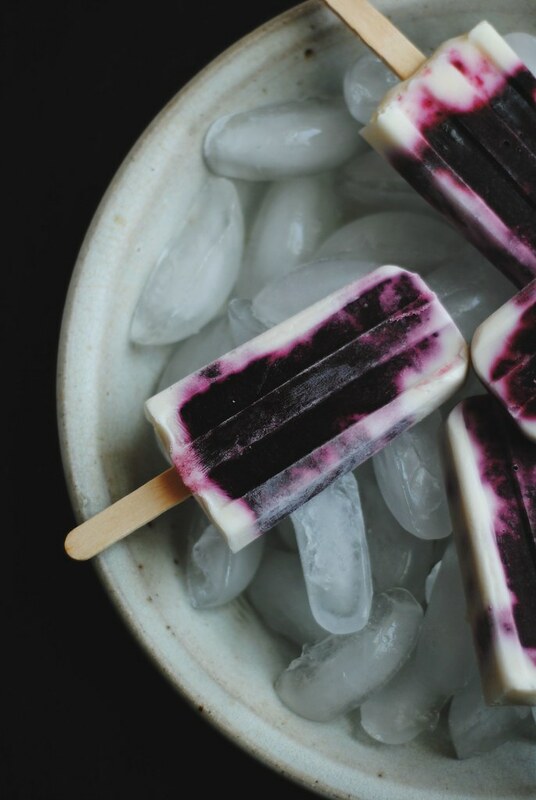 Loving the look of your site lately, and now I’m craving these pops, which is true for just about every recipe you decide to write about. Beautiful, beautiful recipe. i have not made popsicles this year..although we frequently visit our local Popsicle place here. these will be perfect for 100+ weather here. i don’t know how your texans do it! i hope you are able to cool off with these! these sound gooood! 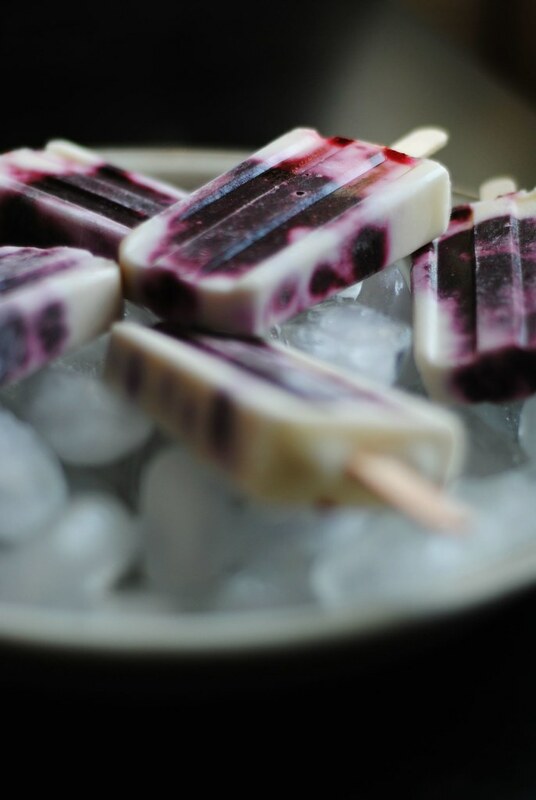 I have blueberries in the fridge and I haven’t used my Popsicle molds in a while. I think I’ll make these! chaya, i hope you do make them. 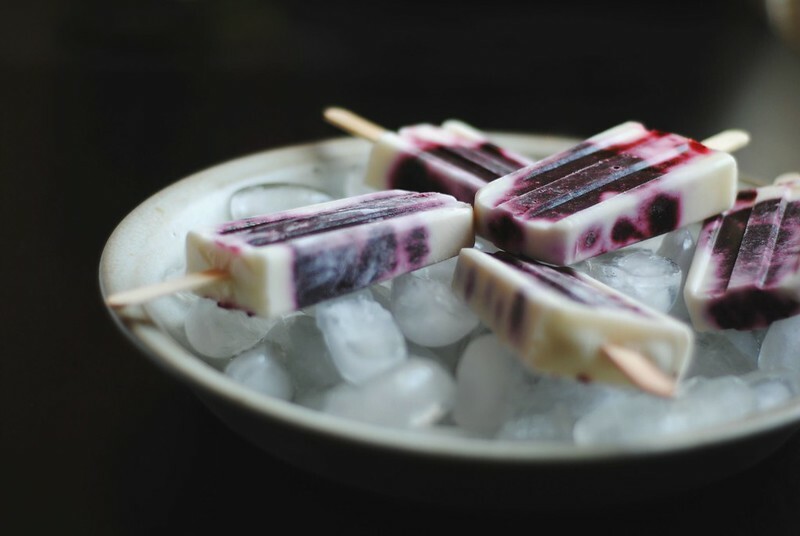 popsicles are such quick and easy fixes, and can be healthy too! Stefanie, i think any fruit that is sweet and could pair with something sour would work, if you’re not able to get your hands on some blueberries. As usual, looks amazing Lan! It was so darn hot today…I wish I had some of these on hand. 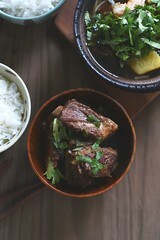 Kaffir lime leaves are a fantastic idea. bonnie, i can only imagine how hot things are for you guys in CA. stay cool! i can’t believe it’s taken me so long to get on the popsicles bandwagon. i dragged my feet for years to get the molds and now they are my most used kitchen toy.